There is no doubt that conversion of Offline storage files of MS Outlook to PST file format is a very confusing and risky process that irritates the users. Hence, users always look for safe and reliable methods for converting their most crucial Exchange data to PST file with no data loss issues. Hence, without wasting any time, let us move forward and know simple basics and overview about the OST and PST file formats of MS Outlook. It is, fortunately, true that Microsoft Outlook is the most popular email client around the world owned by Microsoft and used by both home and professional users. It offers two types of data files – OST (Offline Storage Tables) and PST (Personal Storage Tables) file extensions that are responsible for storing the data of the entire mailbox. OST file extension - Offline Storage Table: The OST file is the exact replica of Exchange server account. The users can work in offline mode with this facility that allows them to access complete mailbox data items saved on personal machine. 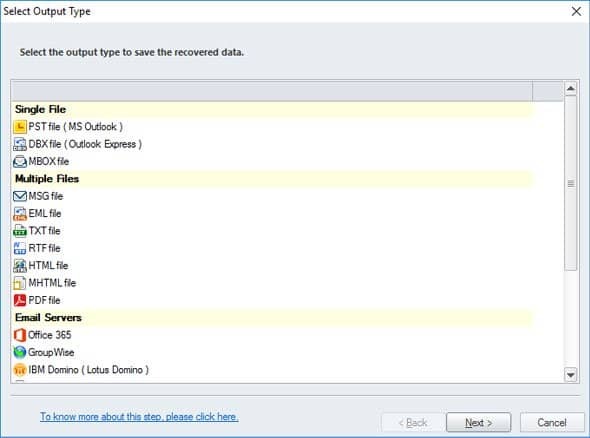 Also, there is no lack of data connection because the moment Outlook reconnects to the MS Exchange Server all the offline saved data gets synchronized with online Exchange server. There are several cases when the OST file is highly in demand by the user, like when is a server is facing downtime, unexpected crash of Outlook, accidental account deletion, or due to any scheduled maintenance of Exchange server. In all such cases, users can take advantageous benefits from OST file to work hassle-free in Outlook. Whereas, PST (Personal Storage Table) file format holds the entire mailbox data items such as emails, attachments, contacts, calendar entries, journals, notes, tasks, to-do list, etc. This file is generated by MS Outlook in its application environment only which works online. Why the need for conversion? There are many reasons when users feel the need for exporting offline OST file to PST format. Some of these reasons and common scenarios are enlisted below that will show in what circumstances it is required to convert inaccessible OST file to PST. Lost or accidentally deleted data, IMAP OST file, corrupted or crashed OST file are some cases that can be repaired and exported by converting files from OST to PST format. Exchange server crash due to any fault such as software failure, power failure, malware intrusion, virus attacks, etc. Hence, using the tool for migrating the data is the best idea. During the Exchange Server maintenance time, users will be able to access the mail items. This is possible when OST files are converted into PST and import it to MS Outlook application. 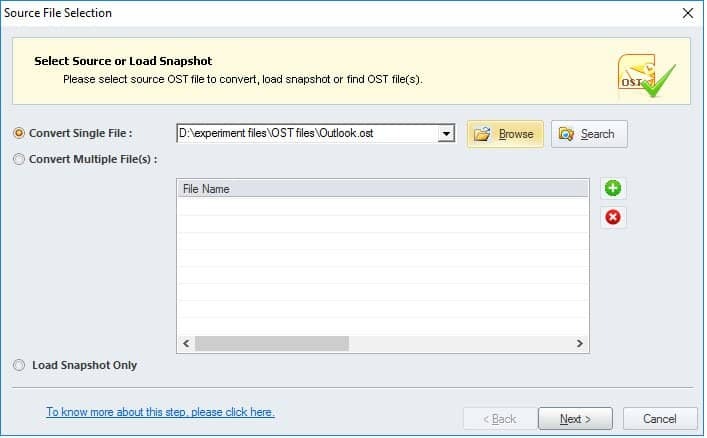 In cases where the user has OST file backup, then importing the OST data to Outlook can be done using the converter tool with ease. What Makes Kernel OST to PST Converter Users Top Most Choice? Capable of converting emails, calendars, contacts, notes, journals, etc. The free version of OST to PST converter tool helps users to experience complete features of the product. There is no difference in the trial version and full version tool interface and feature except the file saving limitations. 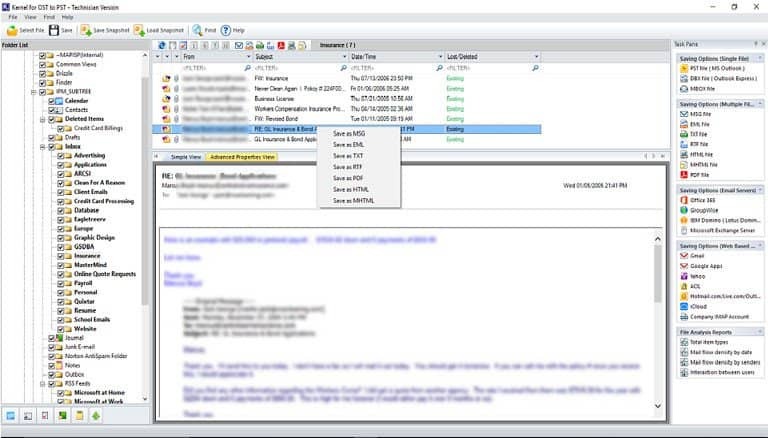 Users can save only 25 items per folder of the OST mailbox to PST file. There are unlimited number of benefits with the licensed version of OST to PST Converter tool. You can avail unlimited multiple file saving facility. 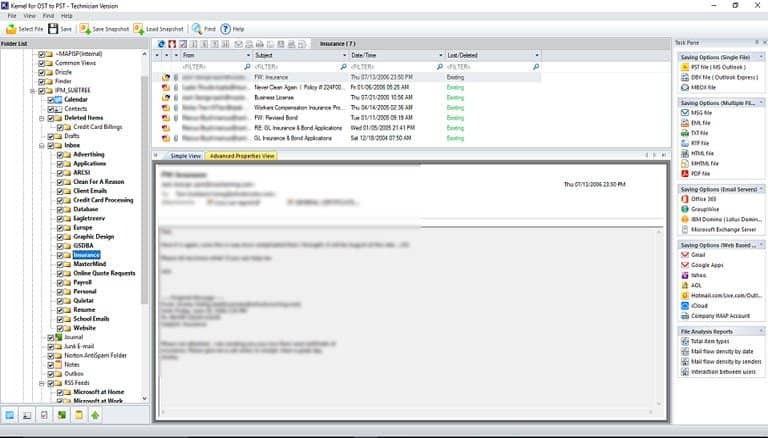 The tool also lets you migrate OST file data to cloud platform Office 365 mailbox and direct migration to several email clients such as Exchange Server, Lotus Notes, Novell GroupWise and so on. Step 1: Launch Kernel OST to PST Converter tool and select OST file from your machine by click on Browse button. Step 2: After selecting the file click Next, the tool interface will take to the preview window of complete OST mailbox content. Step 3: If you will right click on any specific folder, you will see multiple saving options, you can choose the desired one as per your choice. Step 4: Save OST file using the full version to PST file format as shown below and click Next. 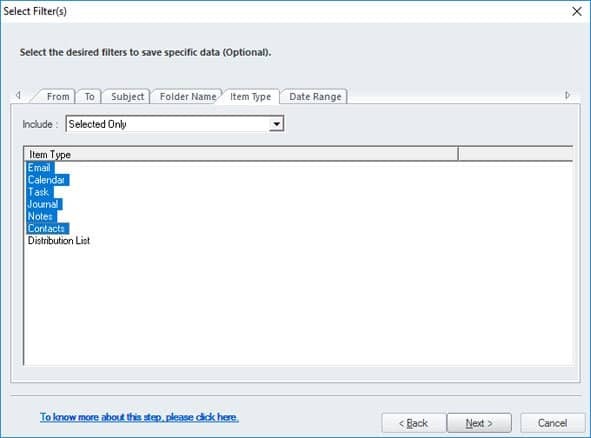 Step 5: You can select and save specific data with the help of data filters offered, take a look as shown. 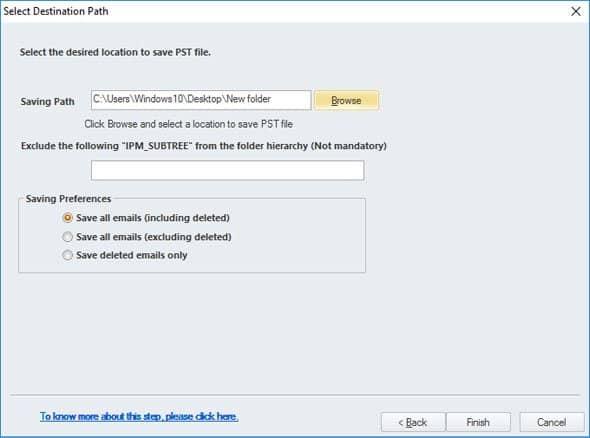 Step 6: Finally, choose the file destination and save the PST file on your local machine which can be imported to MS Outlook later. There are many manual methods that can be used as an alternative to the third-party tool, but data loss chances and method failure chances are high while the ongoing conversion process. Hence, by using the OST to PST full version software you can make your task easy and convert your most crucial data without worrying. Share your valuable experience with us in the below mentioned comment section. How can I export my contacts from an OST file? I have a 5GB corrupt IMAP OST file. Will this utility work for that, or does it only work with Exchange OST?